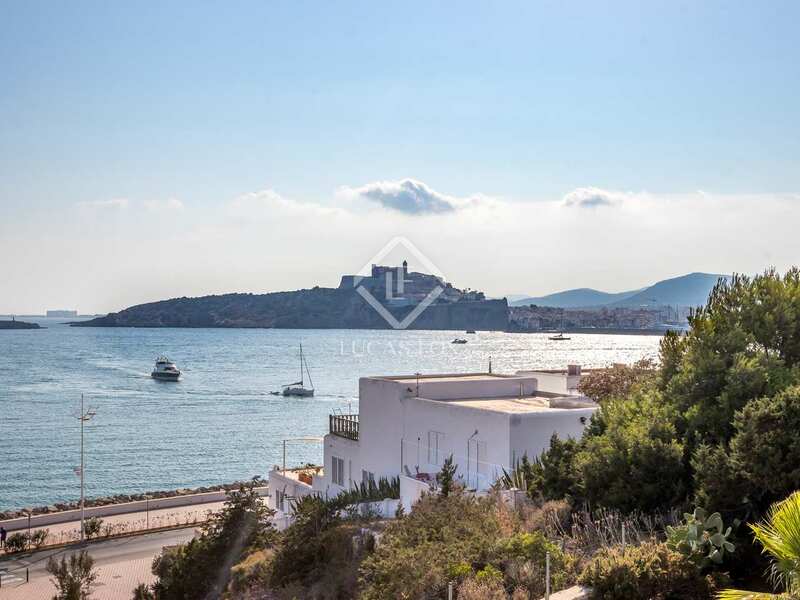 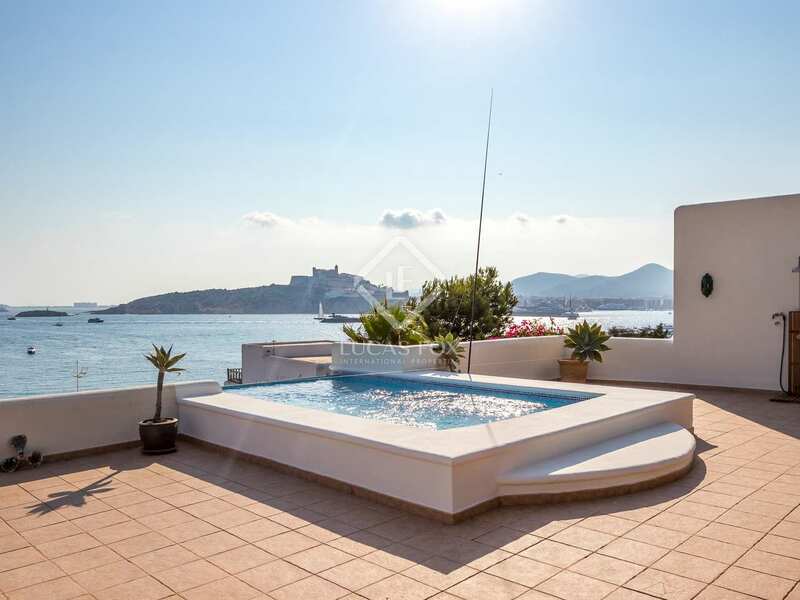 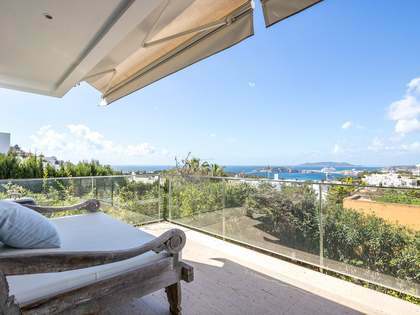 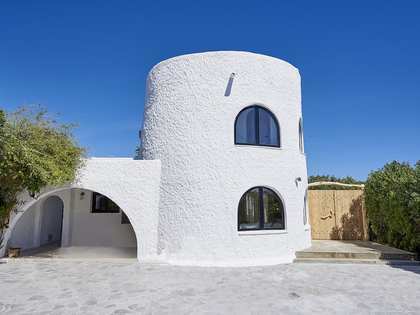 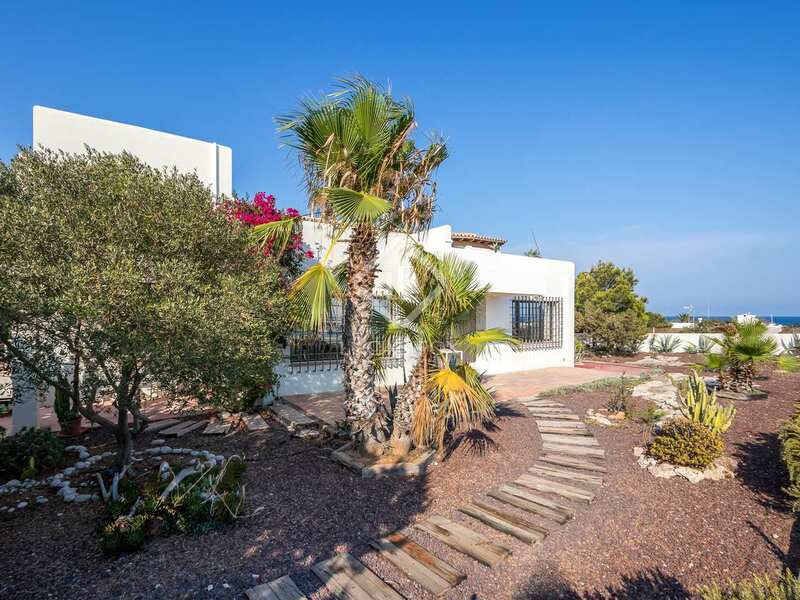 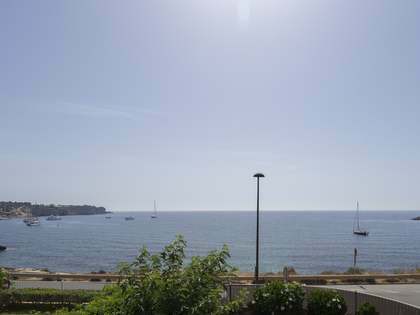 Large villa of 488 m² on the seafront with panoramic views of the sea, Dalt Vila and the Botafoch lighthouse, located a few minutes' walk from Talamanca beach and the centre of Ibiza. 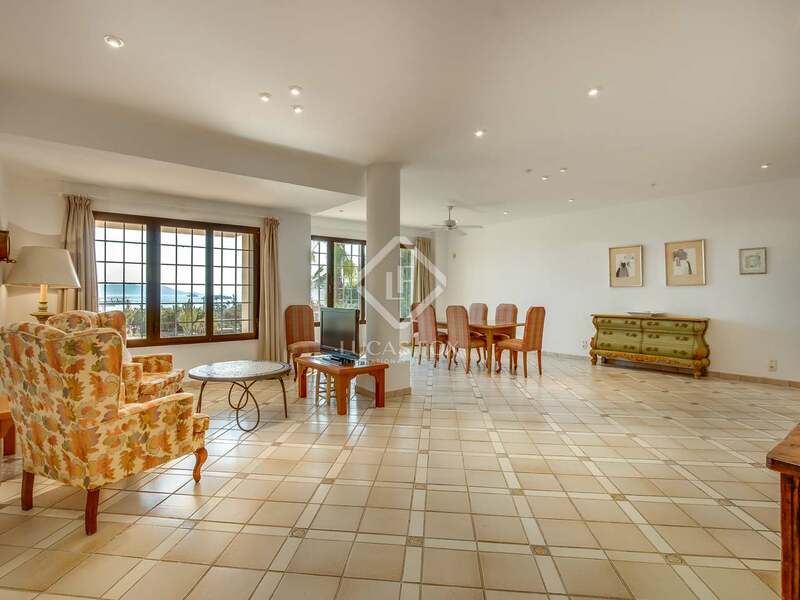 It is a classic style home with great privacy. 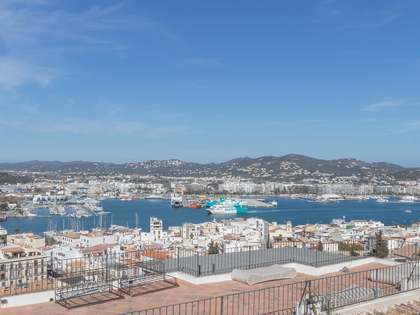 It is distributed over 2 floors plus the basement, with a lift that facilitates access to all floors. 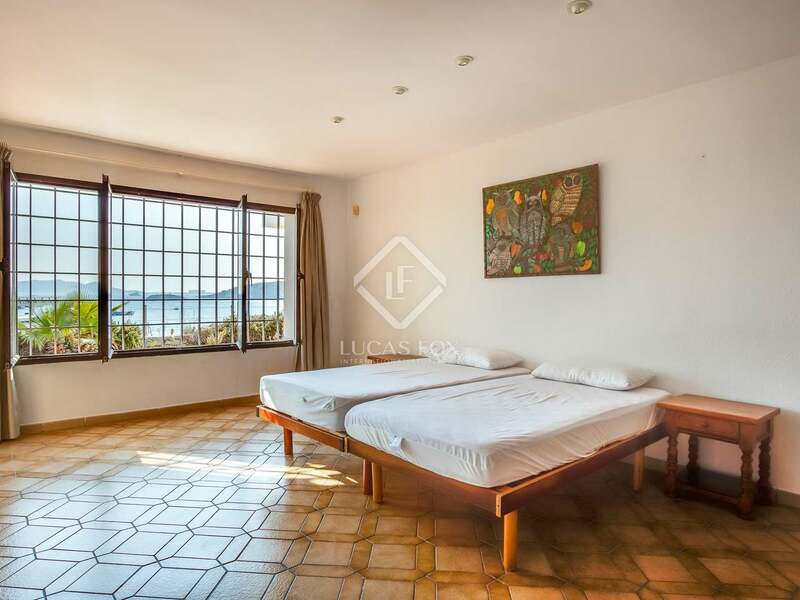 On the ground floor we are welcomed by the entrance hall and from here we access the rest of the rooms: the kitchen, the laundry room, the spacious living room, 4 bedrooms with private bathrooms, a dressing room and an office. 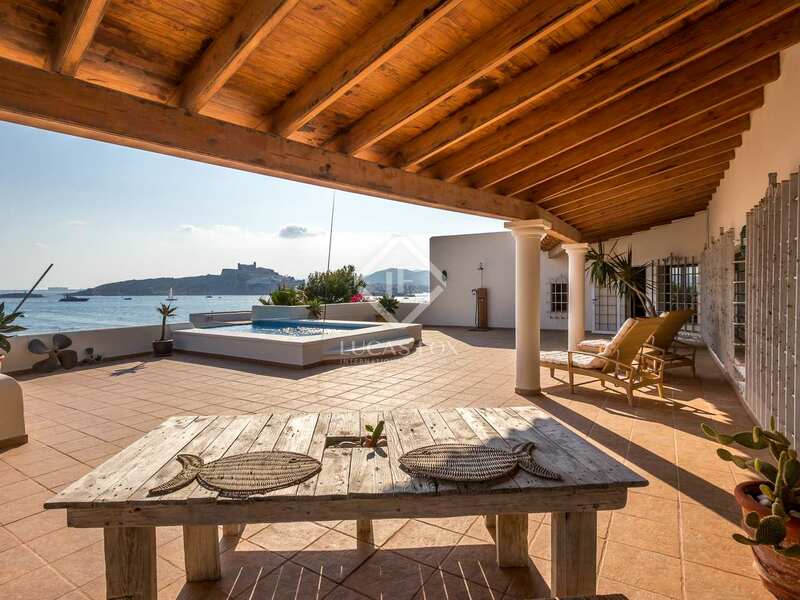 On this floor we find 2 beautiful covered terraces and the garden, which completely surrounds the house. 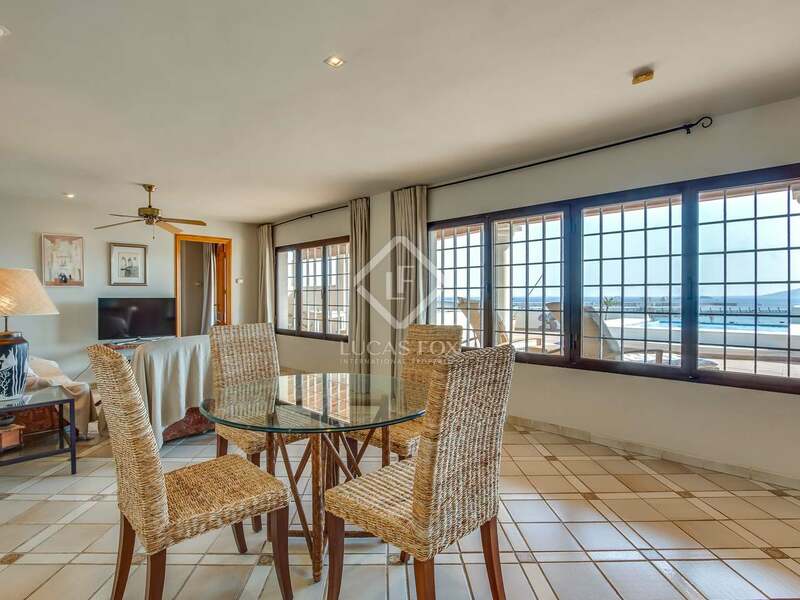 On the first floor there is a landing that leads to a living room with a kitchenette and 3 bedrooms. 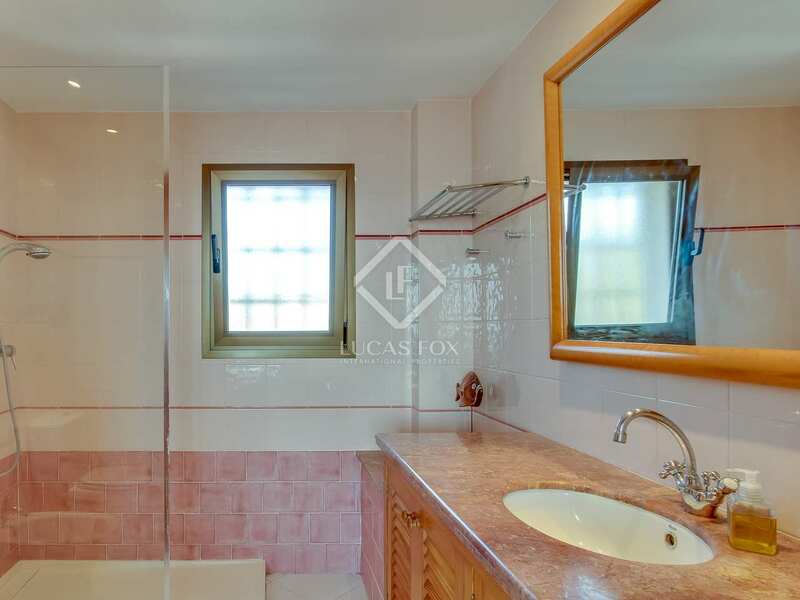 One of them has its own bathroom and the other 2 share a second bathroom. 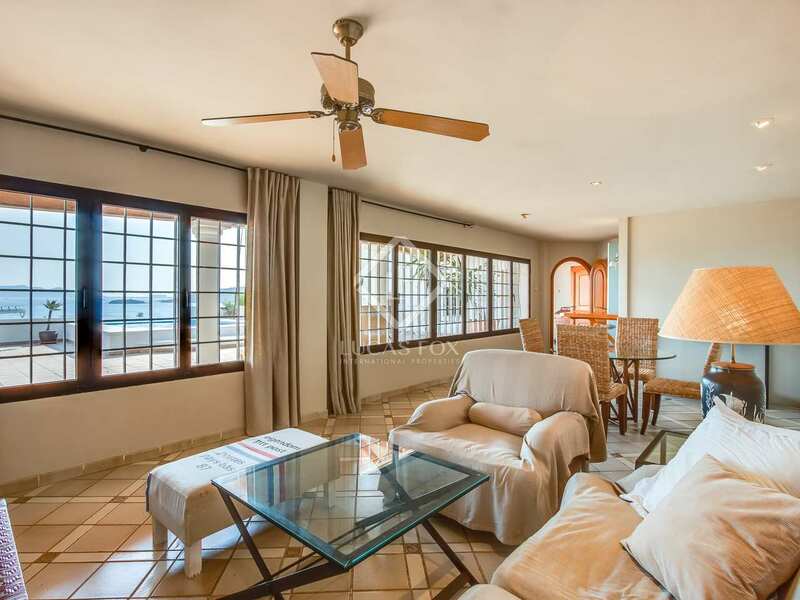 From this floor we access a beautiful terrace, which has a porch area and an outdoor area with sun loungers and the infinity pool with stunning views. 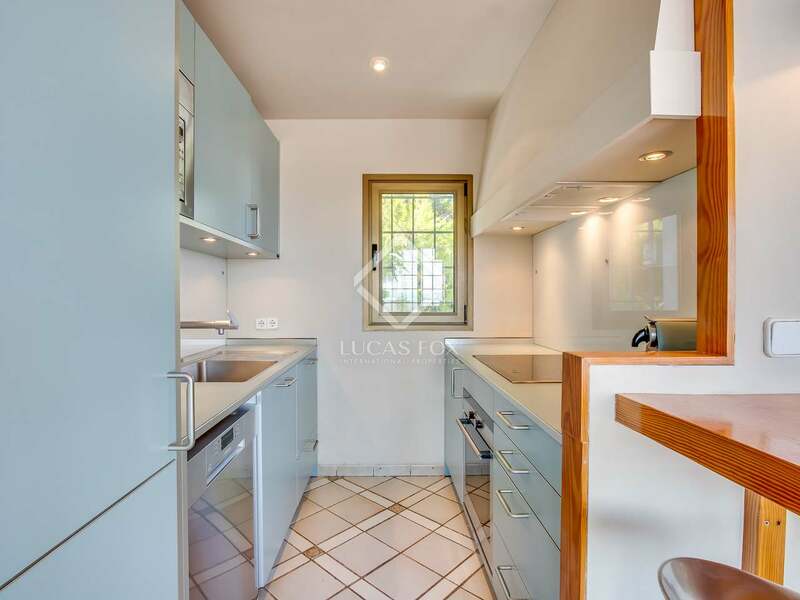 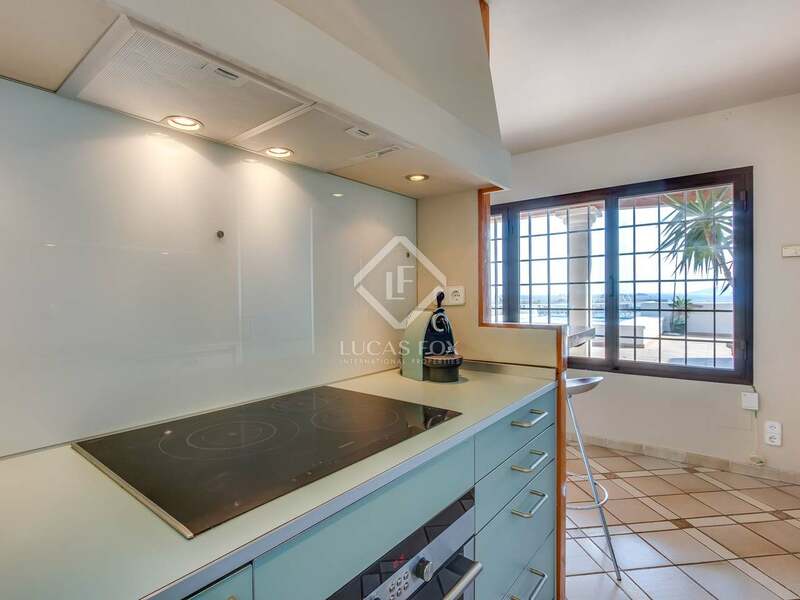 Contact us for more information about this house in the exclusive Marina Botafoch. 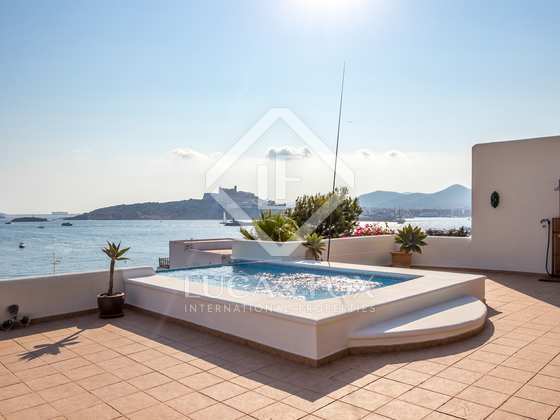 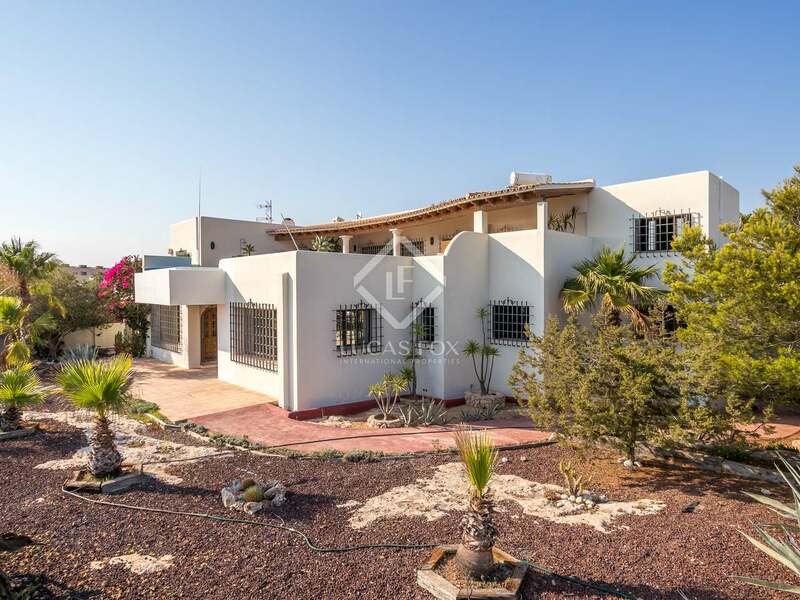 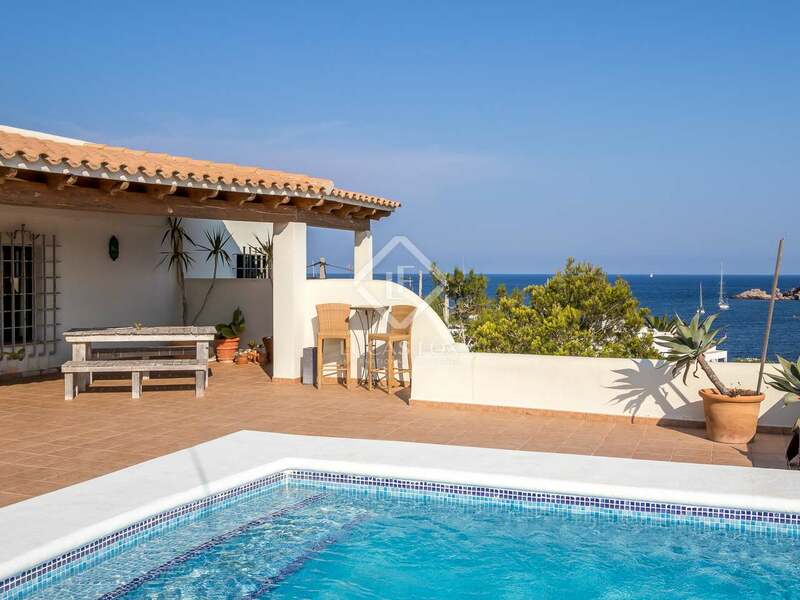 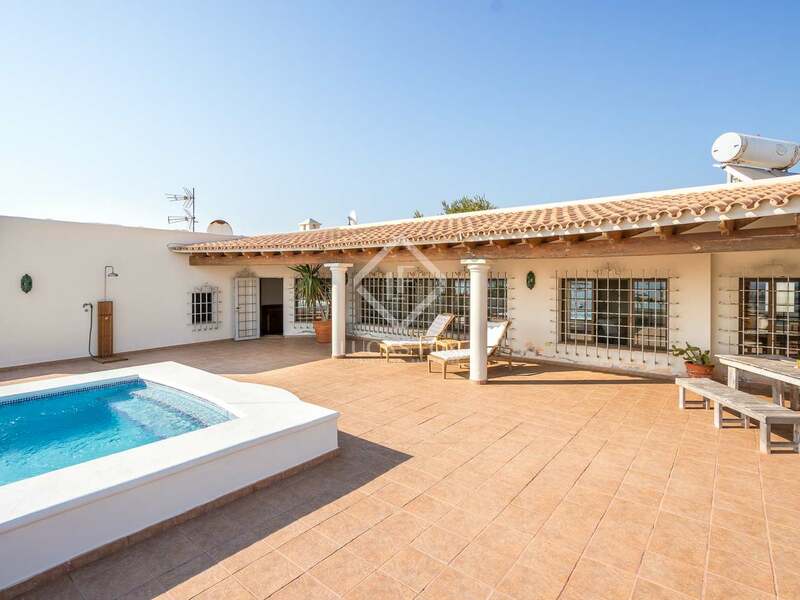 This villa is located in an exclusive area of Marina Botafoch.